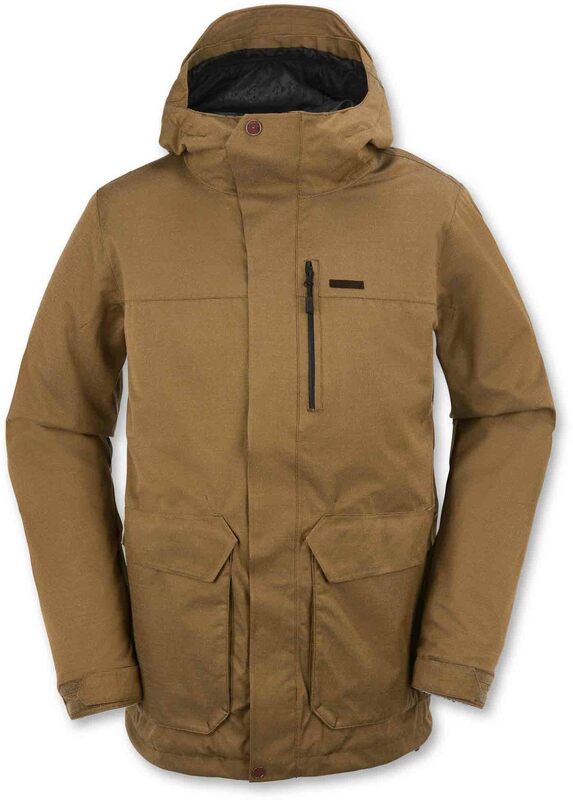 The Volcom Lido Snowboard Jacket offers a good fit for the average rider, mid range waterproofing and solid functionality in this mid tier shell. 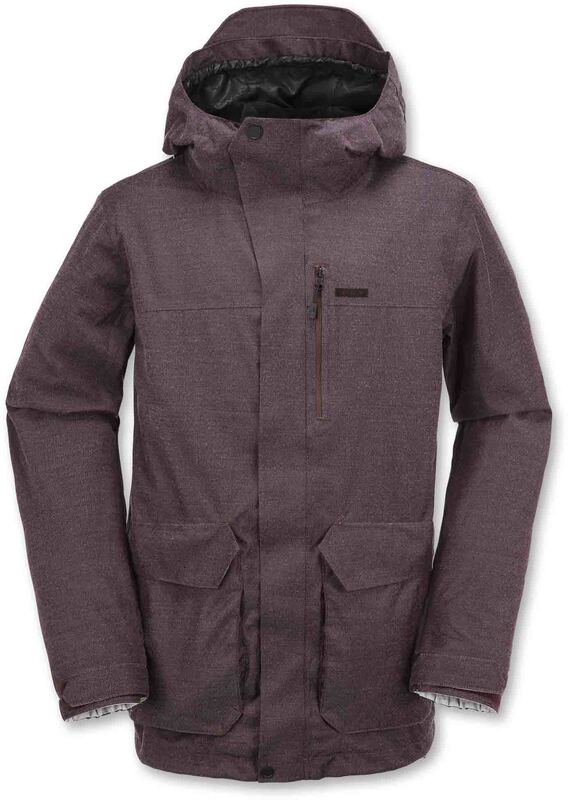 Fit: While many snowboard companies these days go super tight with their jackets and pants Volcom still remembers that these are still Snowboard Jackets that need room for layering underneath. It’s not super baggy but the fit is more on the baggy side of the spectrum these days. This is good for those, like me that like to layer up. For the Volcom Lido I’m in-between size Med and Large. Construction: Looking closely at the construction every stitch isn’t perfect but it looks like it’s made to last a long time and won’t fall apart easily. It’s built to take a little abuse. 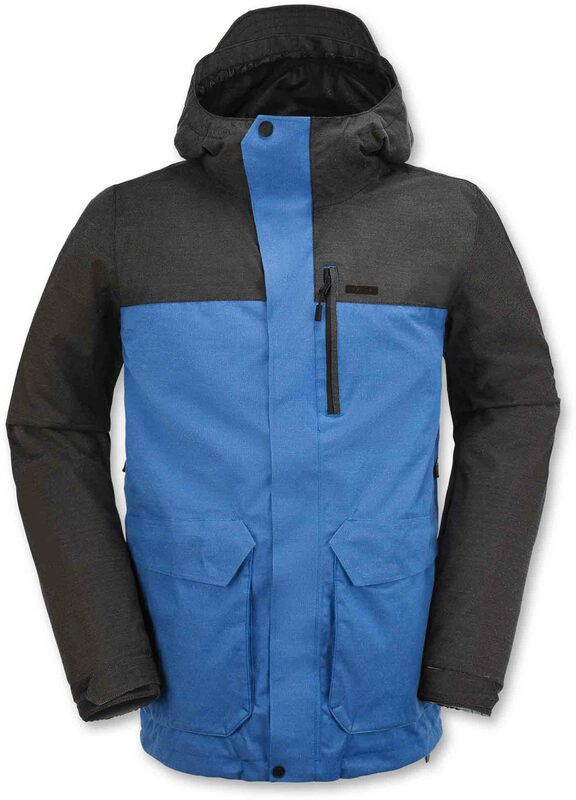 Volcom has been at this for a while and they make a well built jacket. Basically it’s everything you would expect for a jacket of this price when it comes to overall build. Hood: The hood easily fits around my size medium helmet and I love contoured hoods. Yeah they don’t look as good as articulating hoods or flop out of the way as easy but I’d take this any day because it really helps shelter you from the elements. When dialed out for your head it really works well to cover the parts of your face your goggles don’t cover. Insulation/Warmth: It’s a shell so it’s not for warmth but it’s a little warmer than most shells thanks to the somewhat thicker taffeta liner. It’s made to have layers under it. 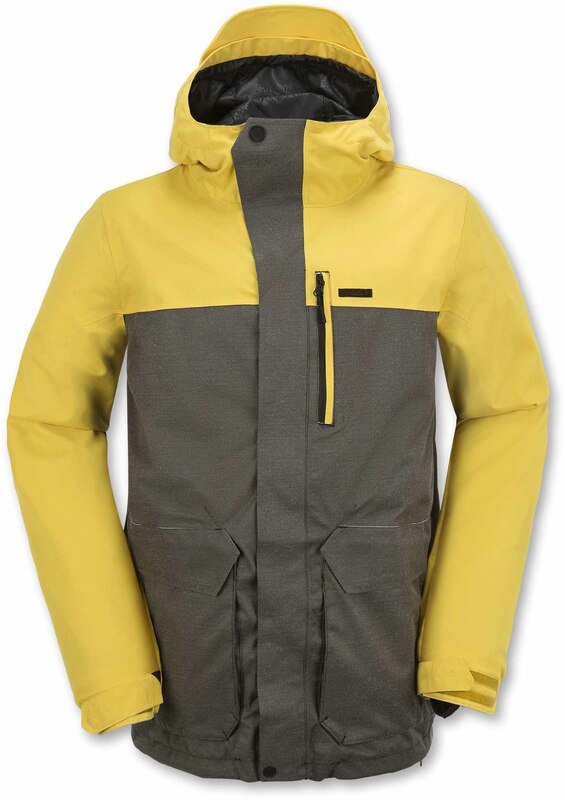 Waterproofing: From what I’ve seen with owning other 15k Volcom Jackets is they do a good job if you see some pretty wet weather on occasion but mainly its very good at keeping dry to medium snow from getting in. Overall 15k feels like 15k and lasts if the jacket is well maintained. Breathability: Nothing to write home about and we would of liked to see 15k for breathability to match it’s waterproofing but it’s not the end of the world. It’s more of a resort Jacket than a backcountry jacket so it’s not a deal breaker unless you really get sweaty easy. Overall: The Volcom Lido Jacket is well made and it flatters my thicker build. Jackets and pants are much more of a personal buy than hard goods but if this appeals to you it’s not a bad choice. We try to get as many images of the Volcom Lido, but forgive us if they're not all there.